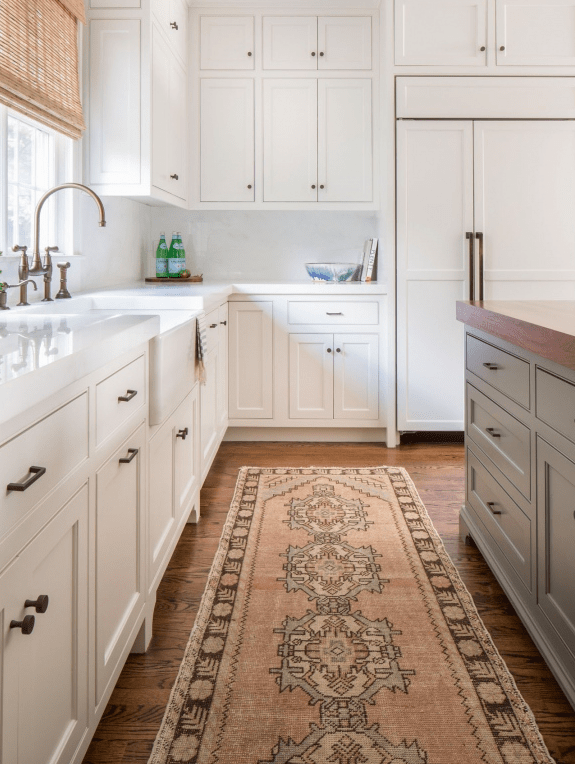 vintage rug runners can make newer kitchen spaces feel layered and more textured. on Etsy and are washed and dried in the sun…nice and clean. 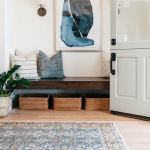 We bought this vintage rug from Antika Art on Etsy way before my client’s new kitchen was installed. Hey, what are you guys watching on television?? We are glad Season Three of Victoria is back. We finished binge-watching the Kaminsky Method on Netflix (pretty funny) and the Body Guard was good, too. The Saturday Evening Girls Club (Amazon) is an enjoyable book about four young immigrant women living in Boston’s North End in the early 1900s. I read it on the Kindle that I got for my birthday. What should I read next? At the movies, we saw Mary Poppins Returns…I loved it. You are expecting the old songs but they are all new with hints of the original ones. 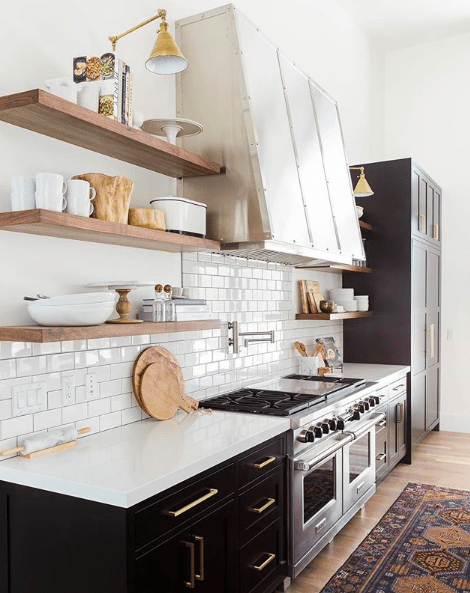 Do you have a decorating dilemma? If you subscribe by email, I am offering a free answer to one question. Just hit reply to my first email when you get it in your inbox! I love this vintage oriental ruga, but where I live there are only new ones, I like the idea of vintage for the kitchen. 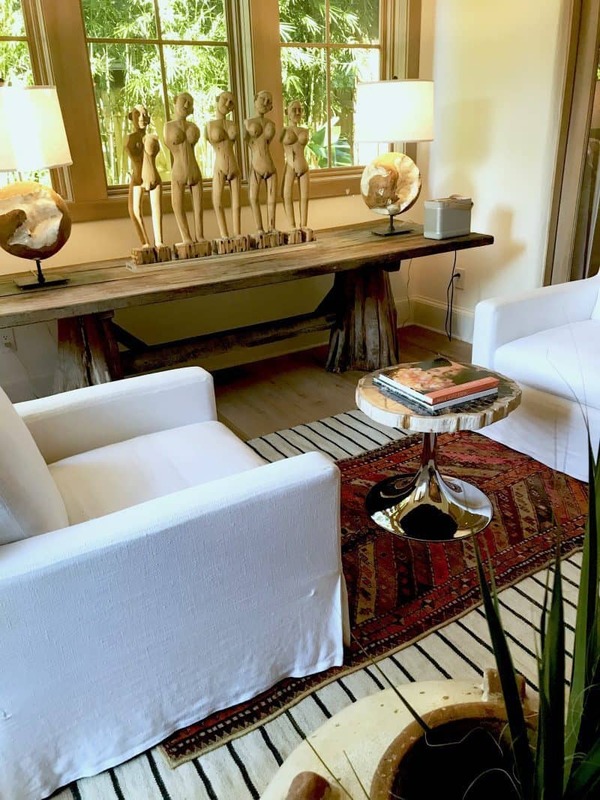 Thanks for sharing this great decor idea. You can order on Etsy and they ship everywhere…quickly! best book I have read for some time. Thanks so much for the recommendation!!! I don’t have a rug at home but I did put rugs in our AirBnBs’ kitchens. 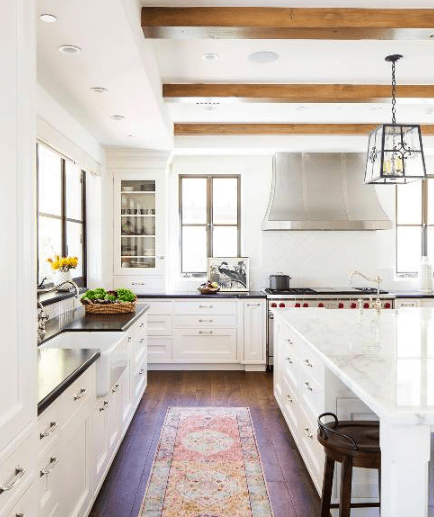 It softens the ambience–hard floor, hard walls, hard appliances, hard counters–a rug absorbs some of the clackety kitchen noise. If you have a yard, you can take it outside and hose it down on a warm summer day. I do that with all our rugs, picking a day with low humidity so they dry quickly. As for books, I’m not on top of the latest releases, but I really love M.F.K. Fisher. She was a food writer who lived in France and California, and she writes about places and food with passion and poetry. Yes…that’s how they come from Turkey…washed and air dried. Thanks for the author recommendation…right up my alley! M.F.K. Fischer is a favorite of mine as well. I just finished The Library Book, and enjoyed it If you are a follower of Collage of Life you could join our online Brown Paper Book Club Group, it is on facebook and everyone shares their latest reads, or their favorites past and present. There are always great suggestions. I’ve used Overstock to purchase runners for heavy duty areas in my house such as halls and my kitchen. I even used a larger rug as a table “topper” over the table in my library/family room. They are not vintage, but wool Afghan rugs are hard wearing. I like the geometry in the rugs and find them beautiful. As for reading, I just finished Madeleine Kammen’s When French Women Cook: A Gastronomic Memoir that I enjoyed. A Gentleman in Moscow was one of last year’s favorites. We just had Wi-Fi installed (yes, we are dinosaurs!) a rather daunting project in built environment and 2-story house, but I am looking forward to getting a Kindle. I love books, but I am running out of room! Great book ideas! I’m looking at Overstock for an 8 x 10 for my son’s apartment. Beneath a Scarlet Sky by Mark Sullivan, which is free on Amazon Prime Reading right now. Thanks so much!!! Love free on Amazon 🙂 And will check out your other suggestions!! this could not have come join a better day! 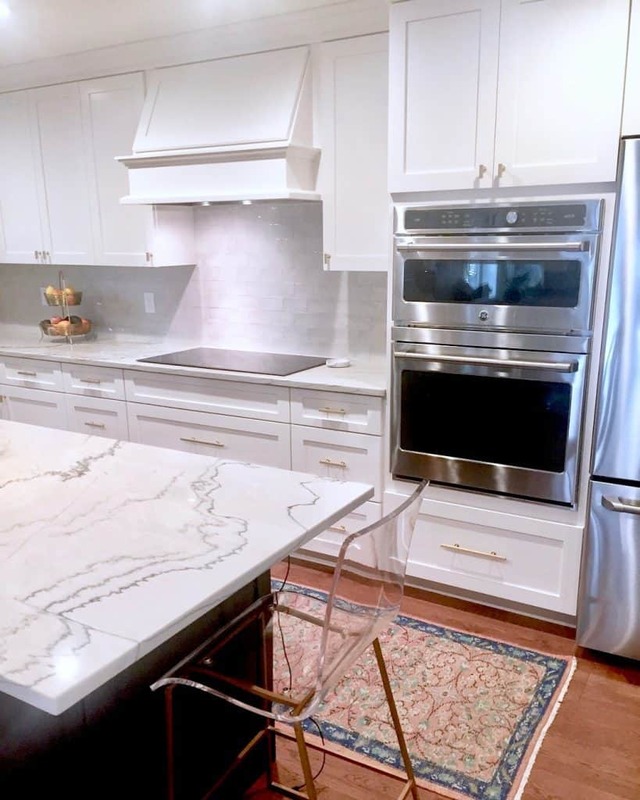 as I assemble a proposal for a client I started on the path of pulling images for a vintage runner in her all white/sterile kitchen, and viola! and sources!! big hugs & kisses! come AT A BETTER DAY, not JOIN! You have a gorgeous view! 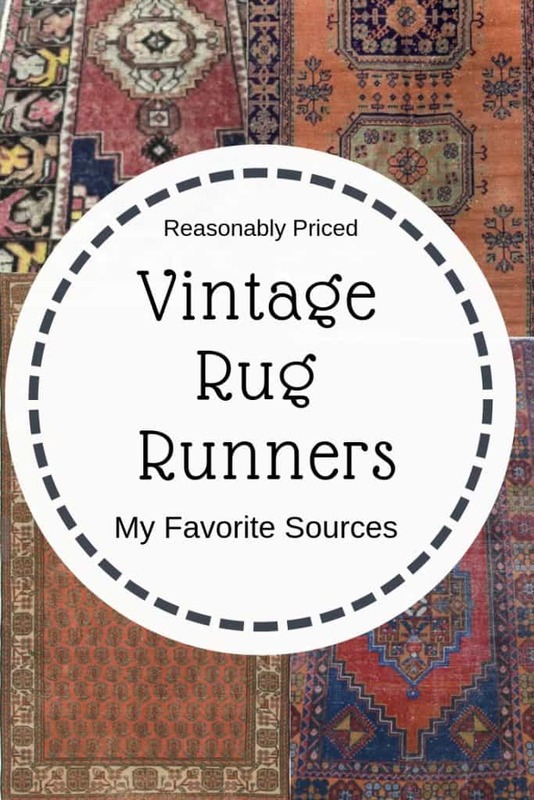 Thanks for the reminder about the vintage rugs. They’re gorgeous. 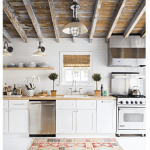 Do you have any posts on classic kitchen pendants? Looking for one with no glare from exposed bulbs, not trendy, but not stuffy. Finish that will work with my ORB in adjoining dining room. 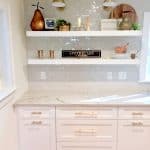 https://classiccasualhome.com/13-great-pendants-to-update-your-kitchen/ Might be time to redo it. First, I made your roasted red pepper soup the other day and it is delicious! Thank you for another soup to add to my recipe folder. Love these runners and one would be perfect for our kitchen. I live the one that is primarily blues that you got for your client before she started her remodel. But blue is very hard to find. I’ll keep looking. Yes…I notice that blue is not common. Glad you made the soup. I still want to make your Italian Wedding Soup! 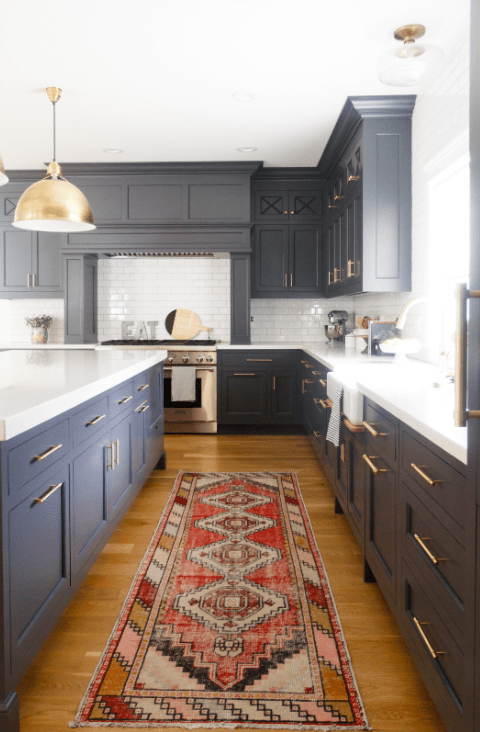 Although I love the look of a vintage runner, I have always purchased inexpensive kitchen rugs at Target because I have two dogs and a messy husband. How do you keep a vintage runner looking nice? Surely they aren’t washable, are they? Thanks for the resources for rugs. I love some of the selection in each Etsy shop and will be doing some serious shopping. I’m loving our current weather pattern in So. Cal. I enjoy the cooler temps, makes it seem more like winter. haha. 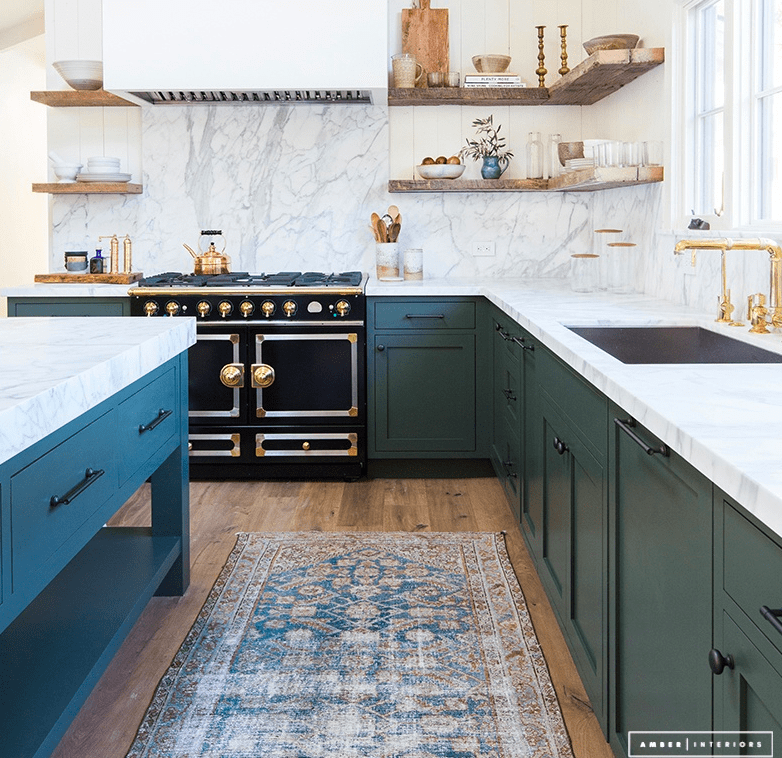 Love rugs in the kitchen. Thank you for the great suggestions. Now to books…The Nightingale (WWII France) is on of the best books I have read in a long time. Keeping with WWII, next read was Beneath a Scarlet Sky (Milan, Italy) which was great as well as it is a true story. Took a break with Nine Perfect Strangers (Australia) by the same author of Big Little Lies, slow start but worth the wait until take-off. Collage of Life’s Brown Paper Book Club is a great place for sharing as is Goodreads. Now off to bed to read my current book, The Tattooist of Auschwitz, another true story. Happy reading! I am completely enjoying The Library Book by Susan Orlean. I have actually slowed my reading pace because I am not yet ready for it to end. Your home is beautiful. I am new to this site. I love your use of linens and texture and flowers.